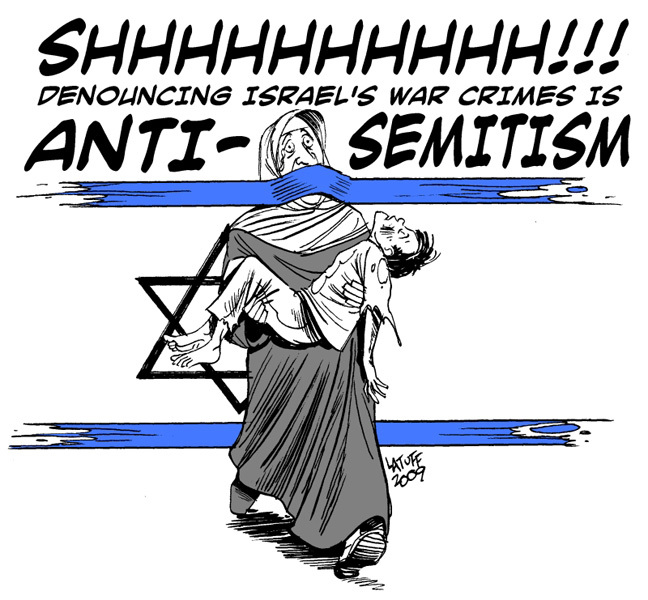 This page contains a bibliography referencing books about the history, analysis, and critique of Zionism, Palestinian dispossession, racism and inequality in Palestine/Israel, and questions concerning “anti-Semitism” and the U.S. “special relationship” with Israel. Is an Alliance with Israel Good for the American People? Abu-Lughod, Ibrahim, ed., The Transformation of Palestine: Essays on the Origin and Development of the Arab-Israeli Conflict, 2nd ed. (1971; Evanston: Northwestern University Press, 1987). Beit-Hallahmi, Benjamin, Original Sins: Reflections on the History of Zionism and Israel (New York: Olive Branch Press, 1993). Bober, Arie, ed., The Other Israel: The Radical Case Against Zionism (New York: Doubleday, 1972). Brenner, Lenni, The Iron Wall: Zionist Revisionism from Jabotinsky to Shamir (London: Zed Books, 1984). —, Zionism in the Age of the Dictators: A Reappraisal (Westport, CT: Lawrence Hill, 1983). Davis, Uri, Israel: Utopia, Incorporated – A Study of Class, State and Corporate Kin Control (London: Zed Books, 1978). Finkelstein, Norman G., Image and Reality of the Israel/Palestine Conflict, 2nd ed. (London and New York: Verso, 2003). Flapan, Simha, Zionism and the Palestinians (London: Croon Helm; New York: Barnes & Noble Books, 1979). Friel, Howard and Richard Falk, Israel-Palestine on Record: How the New York Times Misreports Conflict in the Middle East (London: Verso, 2007). Heller, Joseph, The Stern Gang: Ideology, Politics, and Terror, 1940-1949 (London and Portland, OR: Frank Cass, 1995). Mandel, Neville J., The Arabs and Zionism Before World War I (Berkeley: University of California Press, 1976). Massad, Joseph, The Persistence of the Palestinian Question: Essays on Zionism and the Palestinians (London and New York: Routledge, 2006). Novack, David, The Image of the Non-Jew in Judaism: An Historical and Constructive Study of the Noahide Laws (NY and Toronto: Edwin Mellen Press, 1983). Orr, Akiva, Israel: Politics, Myths and Identity Crisis (London and Boulder, CO: Pluto Press, 1994). Pappe, Ilan, The Idea of Israel: A History of Power and Knowledge (New York: Random House, 2014). Rose, Jacqueline, The Question of Zion (Princeton, NJ: Princeton University Press, 2005). Rose, John, The Myths of Zionism (London: Pluto Press, 2004). Said, Edward W., The Question of Palestine (New York: Vintage, 1979). Salaita, Steven, Israel’s Dead Soul (Philadelphia: Temple University Press, 2011). Sand, Shlomo, The Invention of the Land of Israel: From Holy Land to Homeland, trans. Geremy Forman (London: Verso, 2012). Sharif, Regina S., Non-Jewish Zionism: Its Roots in Western History (London: Zed Books, 1983). Shohat, Ella, Israeli Cinema: East/West and the Politics of Representation, 2nd ed. (1989; London: I. B. Tauris, 2010). Sizer, Stephen, Christian Zionism: Road-map to Armageddon? (Leicester: Inter-Varsity Press, 1994). Sha’ban, Fuad, For Zion’s Sake: The Judeo-Christian Tradition in American Culture (London and Ann Arbor: Pluto Press, 2005). Shlaim, Avi, The Iron Wall: Israel and the Arab World (New York and London: W. W. Norton, 2001). Sternhell, Zeev, The Founding Myths of Israel: Nationalism, Socialism, and the Making of the Jewish State, trans. David Maisel (Princeton: Princeton University Press, 1998). Tekiner, Roselle, Samir Abed-Rabbo, Norton Mezvinsky, eds., Anti-Zionism: Analytical Reflections (Brattleboro, VT: Amana Books, 1989). Weinstock, Nathan, Zionism: False Messiah, trans. and ed. Alan Adler (London: Ink Links, 1979). Weizfeld, Ebie, ed., The End of Zionism and the Liberation of the Jewish People (Atlanta and Windsor, ON: Clarity Press, 1989). Weizman, Eyal, Hollow Land: Israel’s Architecture of Occupation (London: Verso, 2007). Whitelam, Keith W., The Invention of Ancient Israel: The Silencing of Palestinian History (London and New York: Routledge, 1996). Alcalay, Ammiel, After Jews and Arabs: Remaking Levantine Culture (Minneapolis and London: University of Minnesota Press, 1993). Berlinerblau, Jacques, Heresy in the University: The Black Athena Controversy and the Responsibilities of American Intellectuals (New Brunswick and London: Rutgers University Press, 1999). Breaking the Silence, Our Harsh Logic: Israeli Soldiers’ Testimonies from the Occupied Territories (New York: Metropolitan/Macmillan, 2012). Chacour, Elias, Blood Brothers, expanded ed. (1984; Tarrytown, NY: Chosen, 2003). Chetrit, Sami Shalom, Intra-Jewish Conflict in Israel: White Jews, Black Jews (London: Routledge 2009). 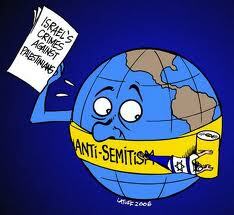 Dadoo, Suraya, and Firoz Osman, Why Israel? : The Anatomy of Zionist Apartheid – A South African Perspective (Johannesburg: Porcupine Press, 2014). El-Asmar, Fouzi, To Be an Arab in Israel, 2nd ed. (Beirut: Institute for Palestine Studies, 1978). Ginsberg, Terri. Visualizing the Palestinian Struggle: Towards a Critical Analytic of Palestine Solidarity Film (London: Palgrave Macmillan, 2016). Habiby, Emile, The Secret Life of Saeed, the Ill-Fated Pessoptimist, trans. Salma Khadra Jayyusi and Trevor LeGassick (New York: Vantage, 1982). Haidar, Aziz, On the Margins: The Arab Population in the Israeli Economy (London: Palgrave Macmillan, 1995). Jabara, Abdeen, Zionism and Racism, Occasional Papers No. 3 (Association of Arab-American University Graduates, 1976). Jiladi, Jada‘, Discord in Zion: Conflict Between Ashkenazi and Sephardi Jews in Israel (London: Scorpion Publishing, 1990). Karmi, Ghada, In Search of Fatima: A Palestinian Story (London: Verso, 2004). Najjar, Orayb Aref, Portraits of Palestinian Women, intro. Rosemary Sayigh (Salt Lake City: University of Utah Press, 1992). Pappe, Ilan, The Forgotten Palestinians: A History of the Palestinians in Israel (New Haven: Yale University Press, 2011). Sacco, Joe, Palestine (Seattle: Fantagraphics, 2001). Said, Edward W., Orientalism (New York: Vintage, 1978). Swirski, Shlomo, Israel’s Oriental Majority (London: Zed Books, 1989). Turki, Fawaz, The Disinherited: Journey of a Palestinian Exile (New York: Monthly Review Press, 1972). —, The Obstruction of Peace: The United States, Israel and the Palestinians (Monroe, ME: Common Courage Press, 1995). Bahbah, Bishara, and Linda Butler, Israel and Latin America: The Military Connection (New York: St. Martin’s Press; Washington, DC: Institute for Palestine Studies, 1986). Beit-Hallahmi, Benjamin, The Israeli Connection: Who Israel Arms and Why (New York: Pantheon Books, 1987). Chomsky, Noam, The Fateful Triangle: The United States, Israel, and the Palestinians, updated ed. (1983; Boston: South End Press, 1999). Christison, Kathleen, Perceptions of Palestine: Their Influence on U.S. Middle East Policy, updated ed. (Berkeley and Los Angeles: University of California Press, 1999). Davidson, Lawrence, America’s Palestine: Popular and Official Perceptions from Balfour to Israeli Statehood (Gainesville: University Press of Florida, 2001). Khalidi, Rashid, Brokers of Deceit: How the U.S. Has Undermined Peace in the Middle East (New York: Random House, 2013). Mansour, Camille, Beyond Alliance: Israel in U.S. Foreign Policy, trans. James A. Cohen (New York: Columbia University Press, 1994). Nitzan, Jonathan, and Shimshon Bichler, The Global Political Economy of Israel (London and Stirling, VA: Pluto Press, 2002). —, Zionism, Militarism, and the Decline of US Power (Atlanta: Clarity Press, 2008). Walberg, Eric, Postmodern Imperialism: Geopolitics and the Great Games (Atlanta: Clarity Press, 2011). Abunimah, Ali, One Country: A Bold Proposal to End the Israeli-Palestinian Impasse (New York: Metropolitan/Picador/Macmillan, 2006). 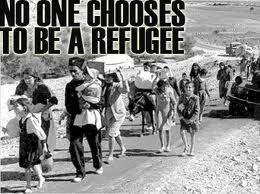 Aruri, Naseer, ed., Palestinian Refugees: The Right of Return (London: Pluto Press, 2001). Faris, Hani A. The Failure of the Two-State Solution: The Prospects of One State in the Israel-Palestine Conflict (London: I. B. Tauris, 2013). 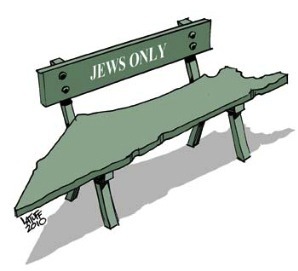 Hilal, Jamil, ed., Where Now for Palestine? The Demise of the Two-State Solution (London & New York: Zed Books, 2007). Karmi, Ghada, Married to Another Man: Israel’s Dilemma in Palestine (London: Pluto Press, 2007). Loewenstein, Antony, and Ahmed Moor, eds., After Zionism: One State for Israel and Palestine (London: Saqi, 2012). Masalha, Nur, Expulsion of the Palestinians: The Concept of “Transfer” in Zionist Political Thought, 1882-1948 (Washington, DC: Institute for Palestine Studies, 1992). Nathan, Susan, The Other Side of Israel: My Journey Across the Jewish/Arab Divide (New York and London: Nan A. Talese/Doubleday, 2005). Nijim, Basheer K., Toward the De-Arabization of Palestine/Israel, 1945-1977 (Dubuque, IA: Kendall/Hunt, 1984). “Notorious massacres of Palestinians between 1937 & 1948,” Middle East Monitor, 15 May 2013. Pappe, Ilan, The Ethnic Cleansing of Palestine (Oxford: Oneworld, 2007). Qumsiyeh, Mazin B., Sharing the Land of Canaan: Human Rights and the Israeli-Palestinian Struggle (London and Ann Arbor: Pluto Press, 2004). Rodinson, Maxime, Israel: A Colonial-Settler State?, trans. David Thorstad(New York: Monad Press/Pathfinder Press, 1973). Shafir, Gershon, Land, Labour, and the Origins of the Israeli-Palestinian Conflict, 1882–1914 (Cambridge: Cambridge University Press, 1987). 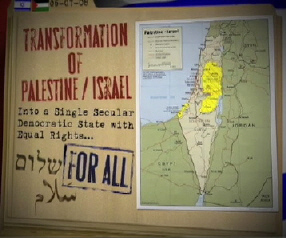 Tilley, Virginia, The One-State Solution: A Breakthrough for Peace in the Israeli-Palestinian Deadlock (Ann Arbor: University of Michigan Press, 2005). Butler, Judith, Parting Ways: Jewishness and the Critique of Zionism (New York: Columbia University Press, 2012). Berger, Elmer, Memoirs of an Anti-Zionist Jew (Beirut: Institute for Palestine Studies, 1978). Cockburn, Alexander, and Jeffrey St. Clair, eds., The Politics of Anti-Semitism (AK Press, 2003). Ellis, Mark H., Israel and Palestine−Out of the Ashes: The Search for Jewish Identity in the Twenty-First Century (London and Sterling, VA: Pluto Press, 2002). Farber, Seth, ed., Rabbis, Prophets, and Peacemakers: Conversations with Jewish Critics of Israel (Monroe, ME: Common Courage Press, 2005). Finkelstein, Norman G., Beyond Chutzpah: On the Misuse of Anti-Semitism and the Abuse of History (Los Angeles and Berkeley: University of California Press, 2005). —, The Holocaust Industry: Reflections on the Exploitation of Jewish Suffering, 2nd ed. (London and New York: Verso, 2003). Ginsberg, Terri, Holocaust Film: The Political Aesthetics of Ideology (Newcastle: Cambridge Scholars, 2007). Grodzinsky, Yosef, In the Shadow of the Holocaust: The Struggle between Jews and Zionists in the Aftermath of World War II (Monroe, ME: Common Courage Press, 2004). Halevi, Ilan, A History of the Jews: Ancient and Modern, trans. A. M. Berrett (London and New Jersey: Zed Books, 1987). Ismael, Tareq et al., eds., “Special Issue: Academic Freedom, Ideological Boundaries, and the Teaching of the Middle East,” Arab Studies Quarterly 33.3-4 (2011). Landy, David, Jewish Identity and Palestinian Rights: Diaspora Jewish Opposition to Israel (London: Zed Books, 2011). Mayer, Arno J., Why Did the Heavens Not Darken? The “Final Solution” in History (New York: Pantheon, 1988). Novick, Peter, The Holocaust in American Life (Boston and NY: Houghton Mifflin, 1999). Pappe, Ilan, Out of the Frame: The Struggle for Academic Freedom in Israel (London: Pluto Press, 2010). Rabkin, Yakov M., A Threat from Within: A Century of Jewish Opposition to Zionism (London: Zed Books, 2006). Said, Edward W., Representations of the Intellectual: The 1993 Reith Lectures (New York: Vintage, 1994). Sand, Shlomo, The Invention of the Jewish People, trans. Yael Lotan (London: Verso, 2009). Segev, Tom, The Seventh Million: Israel Confronts the Holocaust, trans. Haim Watzman, rev. ed. (New York: Metropolitan/Owl Books, 2000). Shahak, Israel, and Norton Mezvinsky, Jewish Fundamentalism in Israel, 2nd ed. (London: Pluto Press, 2003). Steinberg, Stephen, The Ethnic Myth: Race, Ethnicity, and Class in America, 2nd ed. (Boston: Beacon Press, 1989). Traverso, Enzo, The Origins of Nazi Violence, trans. Janet Lloyd (London and New York: The New Press, 2003). Zertal, Idith, From Catastrophe to Power: Holocaust Survivors and the Emergence of Israel (Berkeley, LA, London: University of California Press, 1998). —, Israel’s Holocaust and the Politics of Nationhood, trans. Chaya Galai (Cambridge, UK: Cambridge University Press, 2005).